Egypt's Finance Minister Mohamed Maait stressed on Thursday that his ministry seeks to lower public debt to 80 percent of the Gross Domestic Product (GDP) by 2022. It also seeks to reduce the total budget deficit to 7 percent of the GDP during the 2019/20 fiscal year. The minister's remarks came after Egypt achieved last year the first budget surplus in 15 years, amounting to 0.2 percent. Maait said the ministry seeks to increase the surplus to 2 percent of the GDP this fiscal year. The remarks came following Maait's meeting with vice president of the European Bank for Reconstruction and Development (EBRD) Jurgen Rigterink in the attendance of a number of finance ministry officials. Maait said the government was able to increase the growth rate to 5.5 percent during the last quarter of the 2017/18 fiscal year, and now seeks to raise it to 5.8 percent. 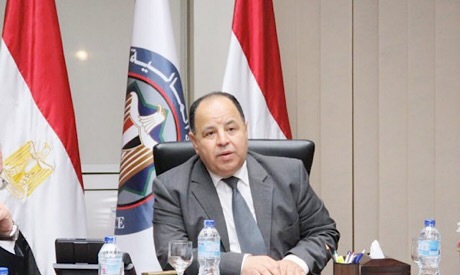 Rigterink said the number of private sector projects financed by the bank in Egypt ranged between 40 and 50 in 2018 at a total value of 1.2 billion euros. He expressed the bank's desire to increase investments in Egypt within the coming period.